Lovely dresses should be kept lovely. Have them cleaned now. Young men should improve their appearance. Have your suits cleaned and pressed now. 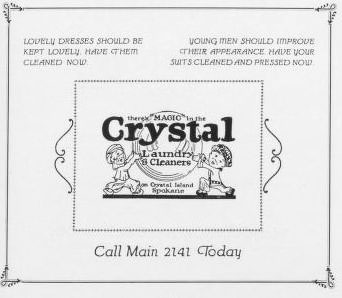 There's "Magic" in the Crystal Laundry & Cleaners. Crystal Island, Spokane.